This is a 5 page packet that includes a 100s chart. 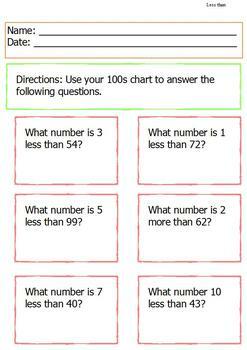 Each page other than the one with the 100s chart asks 6 questions about the 100s chart. The first asks what number is MORE than. The second asks what number is LESS than. The third has students filling in the boxes before and/or after in that same horizontal row. 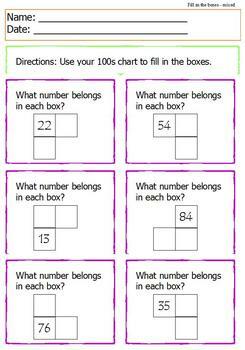 The fourth has students filling in boxes above and below/left and right. 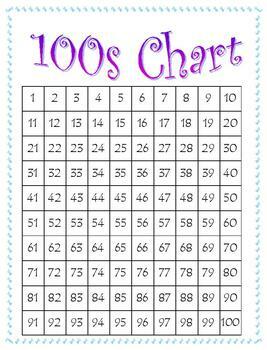 The students can use their 100s chart to find the correct number that belongs in the boxes. 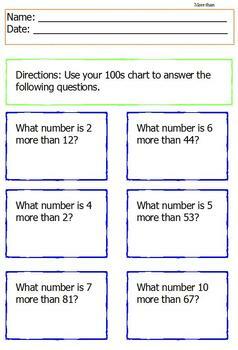 This is directly related to the Common Core standards using 100s charts. However, it is also an excellent resource for students in special education that require a modified curriculum. I use this with my students in middle school who are in a self-contained setting.